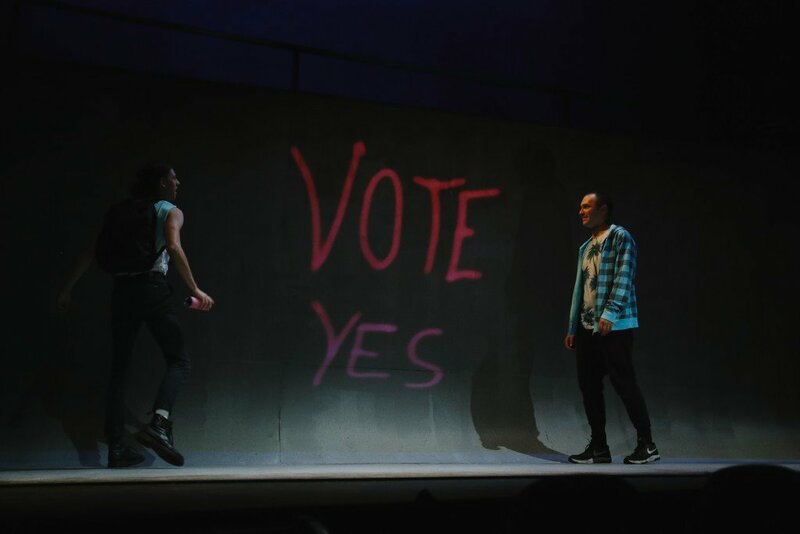 Premiered at Illawarra Performing Arts Centre in May 2018 [director Leland Kean]; produced by Merrigong Theatre Company. Cy and Robert Murphy are teenagers living a life of sun and saltwater, but as the sun sets, a malevolent culture of homophobia and violence surfaces, with consequences that ripple across generations. 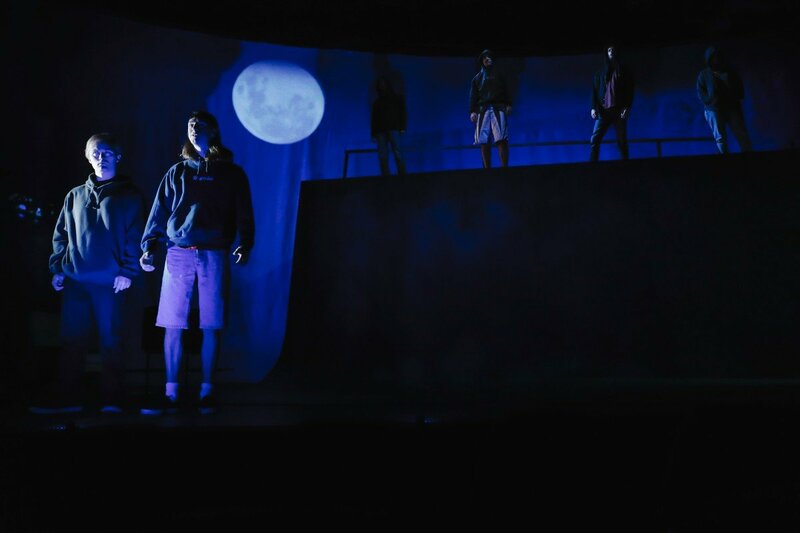 Inspired by real events and told through the eyes of three generations of the Murphy family, Lost Boys rips into a dark part of our male-dominated culture, asking how perpetrators of violent crimes live with their unspeakable pasts. Commemorating lives lost, this deeply affecting and potent new work forces us to examine secrets held for decades, and prejudices still held today. 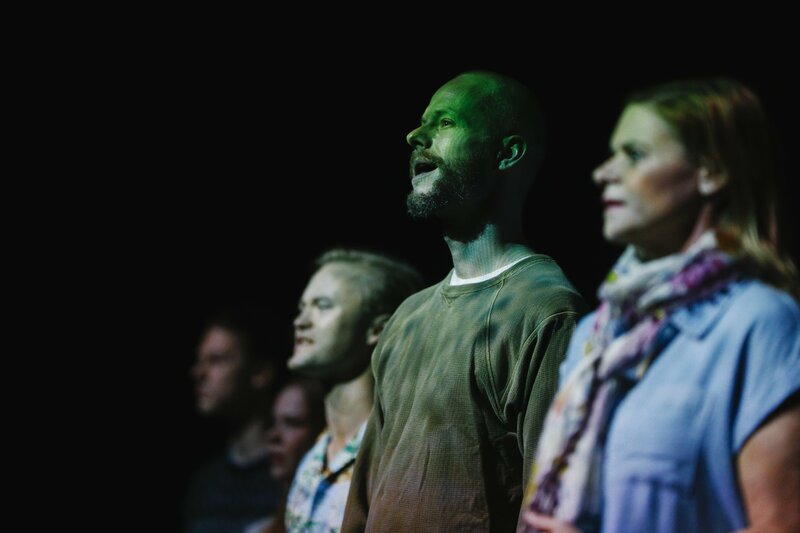 ‘Lost Boys is an unflinching play asking us to consider the ongoing effects of past crimes. It’s also a powerful demonstration of the ways in which language is used to dehumanise. The notion that words can’t hurt is comprehensively demolished.’ Jason Blake, Audrey Journal. Lost Boys production photos by Zakarij Zaczmarek for Merrigong Theatre Company.